TV: Josh’s Favorite Game of Thrones Moments! Winter is here. For fans of the hit HBO television show Game of Thrones, we’ve been waiting over nine years to see how this epic journey would end (and it’s been much longer for those of us that have been reading George R.R. Martin’s books). But this Sunday, April 14th, we will finally begin the final season of GOT. DISCLAIMER: There will be LARGE spoilers for anyone who hasn’t seen the show! If you haven’t seen the show, and don’t want anything spoiled, I’d recommend leaving right away and watching! Alright, now that we have that out of the way, Let’s carry on! The Lion and the Rose – Let’s just go ahead and get this one out of the way… Look, it’s not every day that the death of a character is something that you look forward to, especially one as brutal and painful to watch as this one was. 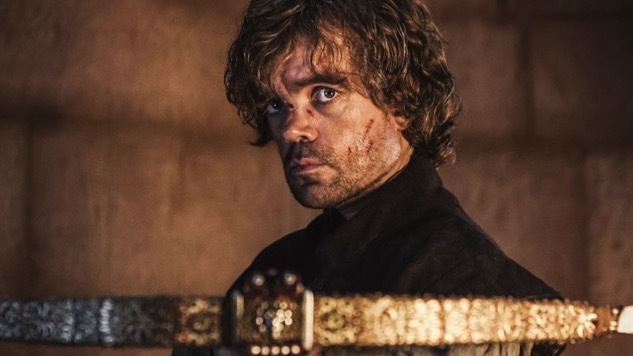 But anybody that’s a fan of this show that wasn’t pumped when Joffrey kicked the bucket needs to have their pulses checked because seeing that little jerk go down in the second episode of Season 4 was one that people had been waiting, ya know, approximately four seasons to happen. Again, I’m not fond of wishing pain and/or suffering on anyone, but this was definitely a satisfying end to a decidedly NOT satisfying person. 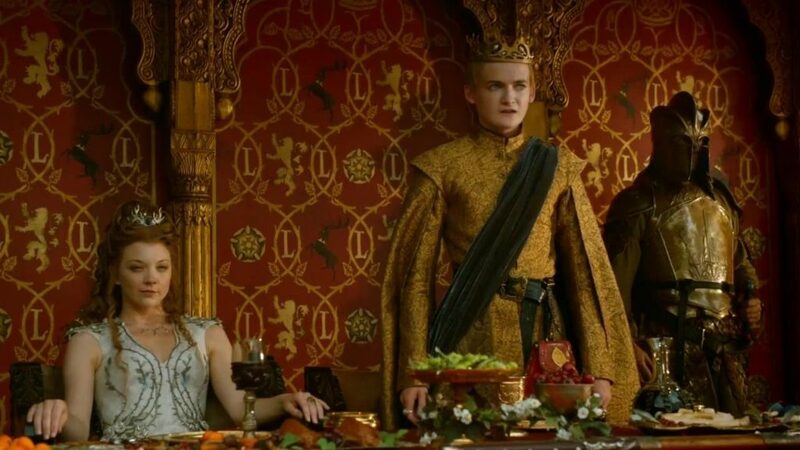 Side note: Serious props to Jack Gleeson, the actor that portrayed Joffrey, for his incredible work on this show. It’s not every day an actor is SO good that he makes you hate a character with your whole heart, and this talented young man pulled it off! 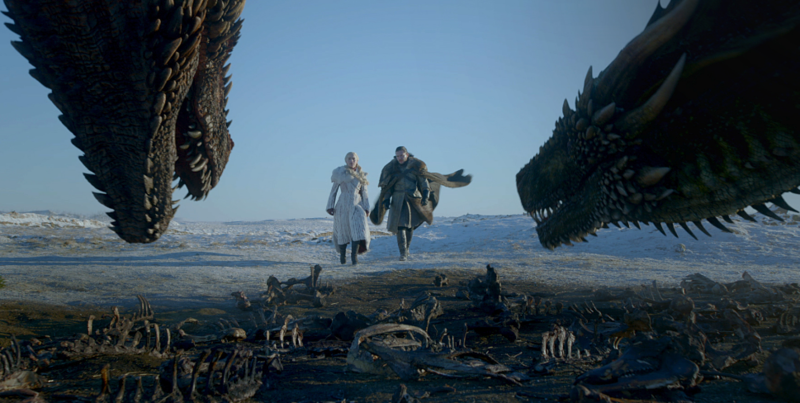 The Dragon and the Wolf – The final episode of Season 7, and the last episode that’s been released at this point, really set up what we can expect to see go down in the final season. To summarize: We got final confirmation of who exactly Jon Snow is, we see Sansa and Arya finally thwart Littlefinger (and in the most badass way possible, I might add), we see Jaime finally walking away from his psychopath sibling/lover/Queen Cersei (presumably to join up with Danearys to fight against the undead, and then later against Cersei herself), and we got a front row seat to the White Walkers breaching the wall – but it was more than just breaching the wall, it was unleashing one of the most epic and incredible visual moments we’ve seen from the show, as one of Daenerys’ fallen dragons has been brought back by the Night King himself to breath blue fire and overall just be a really rad undead dragon. 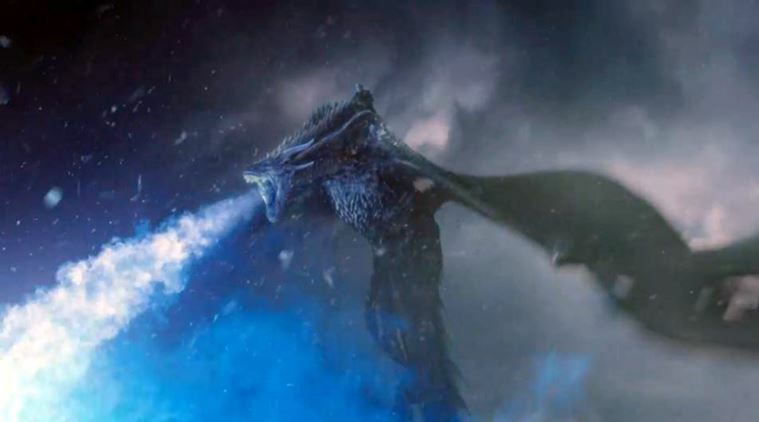 Seriously, the moment we saw the Night King riding an undead dragon, I feel like I’ve pretty much seen it all. The Spoils of War – The fourth episode of Season 7 was one that a lot of fans were waiting for, as it was a long-awaited reunion for several of the Stark kids, as Arya, Sansa, and Bran were all in Winterfell together for the first time since, well, ya know, Season 1 Episode 1… So it’s been a minute! The episode showcased a pretty awesome, and very memorable, scene between Brienne and Arya who take part in a little sparring match, where the tiny, yet clearly capable, Arya proves to be quite the match for such an accomplished and able fighter as Brienne. It was a brilliantly choreographed piece of fighting and a really cool moment between the two. But my favorite moment from this episode, and easily one of my favorite moments in the whole show goes to the caravan battle between the Lannister army and Daenerys. I use the term “battle” loosely here because it was essentially the Dothraki army giving the Lannisters the beat down while Daenerys rode aloft on Drogon setting everything on fire. 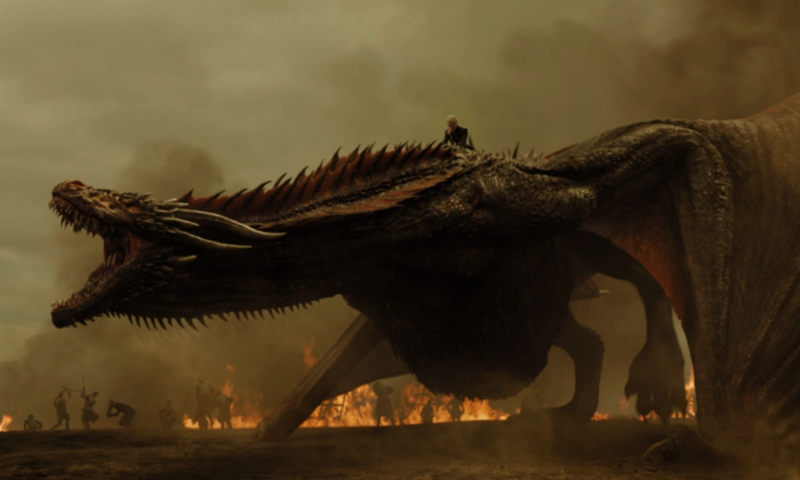 The moment with Jaime racing towards Dany dismounting her dragon, only to be face to face with Drogon’s fiery gaze, was pretty epic. Battle of the Bastards – This was absolutely a moment I was waiting for in the show – the moment where Jon would finally get a chance to face off against Ramsay Bolton, not only for the horrific treatment of his sister, Sansa, but also because Ramsay had taken hold of his home, Winterfell, and Jon just wasn’t going to let any of it fly any longer. 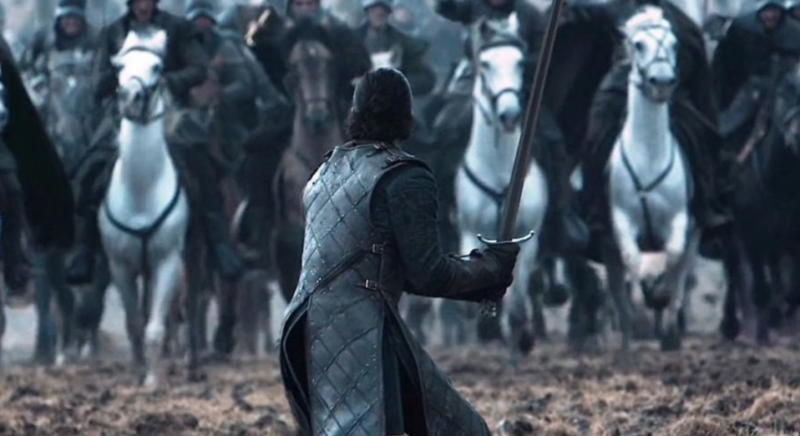 What we got from the penultimate episode of Season 6 was one of the most involved and epic fight scenes in entertainment history. There were some real tear-jerker moments, like Jon seeing his younger brother Rickon shot down right before his eyes by the brutal Ramsay. In the end, Jon’s will and Sansa’s guile win them the victory, culminating in the giant Wun Wun breaking down the gates to Winterfell, and the Stark army moving in to retake their home. Wun Wun goes down in the end, which was pretty heartbreaking, but Jon gives Ramsay a few knuckle sandwiches and Sansa later basks in the glow of Ramsay being eaten by his own hounds. How poetic! Hardhome – Look, this is an easy choice here, because while the rest of this list is in no particular order, Hardhome goes down as my favorite episode, one of my favorite moments, and honestly it’s not a stretch to say I’m probably not the only one. Season 5 left a bit to be desired for me, I’ll admit, but its second-to-last episode made it all worthwhile. There was quite a bit happening in the overall world of Game of Thrones in this episode, from Braavos to Meereen, King’s Landing to Winterfell. But it’s the last 25 minutes or so of the episode that hit home (Hardhome, to be precise), as Jon and his small band of badasses meets with some Wildling leaders, trying to recruit them in the battle against the White Walkers. After some chit chat, they agree to help, but it’s while they’re loading up their boats to leave that they are attacked by Walkers. 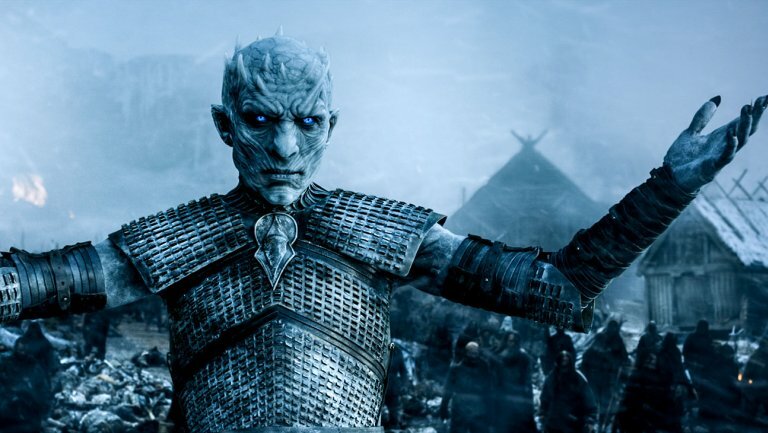 The battle is absolutely epic and intense, and while they lose many in the battle they are able to escape, only to see one of the most iconic moments in GOT history, as the Night King himself stands on the dock, raising their dead comrades in front of their very eyes to further strengthen the army of the dead. And it’s not too long before we’re going to see Jon, Dany, Jaime, Tyrion, and the whole gang taking on that army of the dead! Got any rad Game of Thrones moments you love that you think I missed? Let us know on social! Previous article Tuesday Trivia: Mecha-Massive Godzilla Trivia Part Two! Josh is the Communications Manager at Loot Crate and has been with the company for coming up on five incredible years. In his spare time, you may find Josh thwarting evil, winning the Super Bowl, procuring the Master Sword, slaying monsters, catching them all, defending Azeroth, rescuing the princess, and/or saving the Universe.